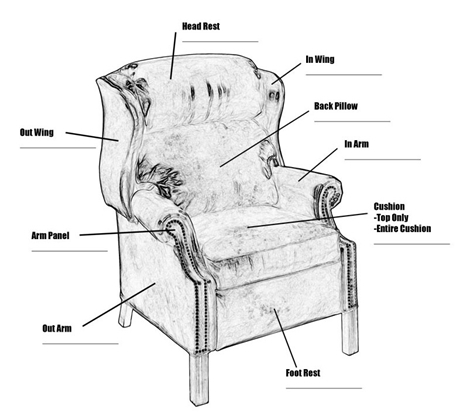 Springboro Upholstery - Ohio's Upholstery & Slipcovers Shop! 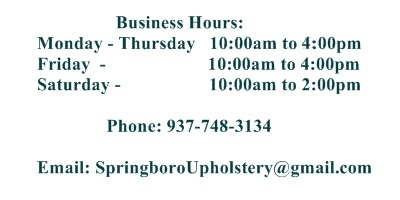 Welcome to Springboro Upholstery! 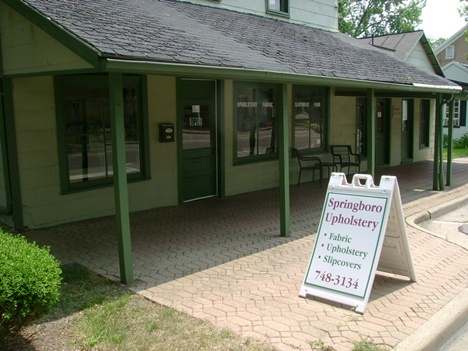 We are located South of Dayton in the beautiful Historic District of Springboro, Ohio. Springboro Upholstery has been in the same location for overs 20 years and takes much pride in having such a well established reputation in the community that is second to none. We have a full range of furniture upholstery services from recovering dining room chairs to large sofas and offer free pickup and delivery in our area. We offer custom slipcovers for furniture. Our seamstress has over 30 years experience in the upholstery trade and we bring your furniture to our shop where we custom make the slipcovers to fit. We also offer a wide range of services for our Commercial Upholstery customers. We provide quick and accurate quotes and will work with you to provide the least disturbance to your customers. Getting a Quote is easy, just click here! We have a large selection of quality upholstery fabrics, just click here! For easy directions and map, just click here! For Before and After pics, just click here! We will not accept or pick up furniture or cushions with pet hair on them. This is to prevent the hair from getting on other furniture, especially our customers that are allergic to pet hair. Please remove the pet hair prior to dropping off or us picking up your items. Thank you.